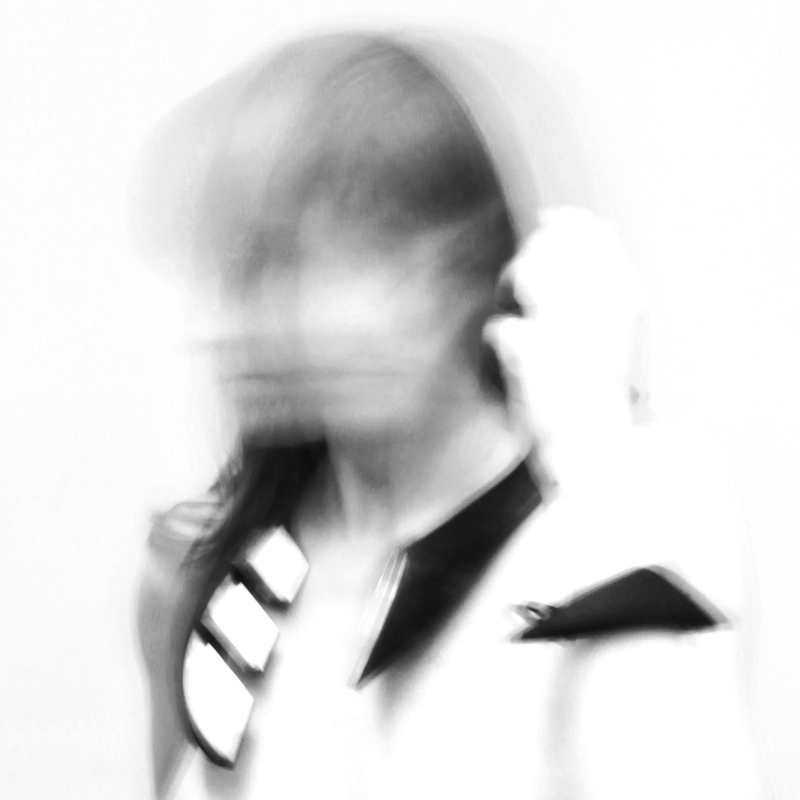 Wearable sculptures. 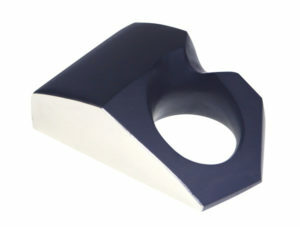 Contemporary objects and jewellery. Reaching out to the deepest and darkest corners of the soul, the artist brings out unprocessed individuality to her designs. 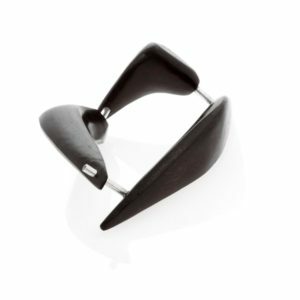 This is a wrist-bracelet made with hand carved Gabon ebony suspended on rough sterling silver tubing finished with black diamonds to form a dynamic wearable sculptural form. Materials: Gabon ebony, sterling silver, black diamonds. This unisex neckpiece is part of a contemporary jewellery collection attributed to primitive human instincts. 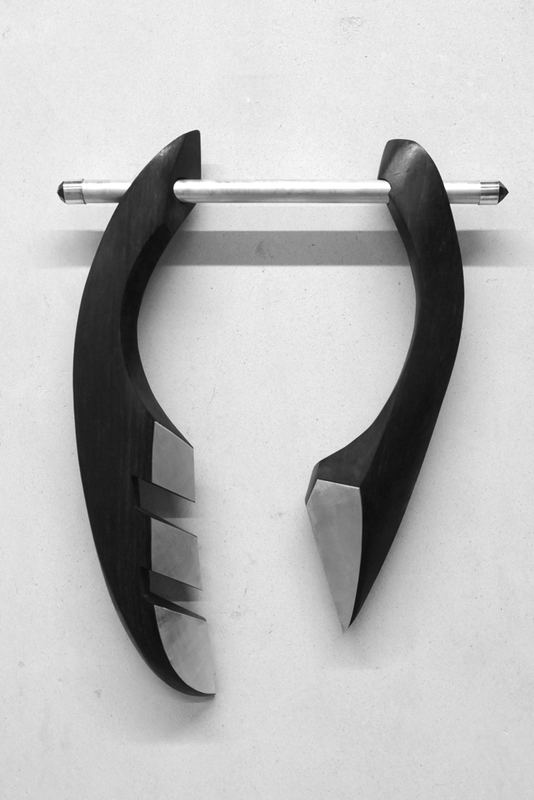 Roughly processed natural materials: Gabon ebony, and sterling silver accented with black tourmalines, through a subjective designer approach results in a series of works with an appeal to the modern caveman. Materials: Gabon ebony, silver, black tourmalines.